I have always been addicted to lip balm. From the age of 12, I've had at least one kind of lip product on my person at all times, from drugstore chapstick to over-priced department store balms. 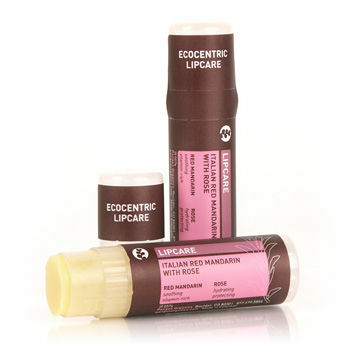 I had still never found anything that really healed and soothed my winter-time chapped and cracked lips... then, I tried Pangea Organics Italian Red Mandarin with Rose Lip Balm and fell in love!! I've been using this about a month now, and my lips have never been so soft and silky, especially during the cold winter months when I usually experience dry, cracked, painful lips. Not anymore! On top of smelling AMAZING (floral and citrusy - so pretty! 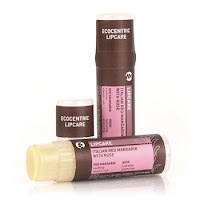 ), Pangea's all natural lip balm is full of lip-loving ingredients like organic hemp oil and shea butter, essential oils of rose, sweet orange and red mandarin, aloe vera and vitamin e. This is the first lip product I've used that actually heals my lips instead of just providing temporary relief. Plus, it absorbs into the lips without a heavy waxy residue ~ so guys will love it too! I've even used this balm to spot treat dry skin on my face, and as a super-hydrating eye treatment. For $12, this multipurpose balm lasts a long time, adding wallet-friendly to its list of benefits!